Are you looking for AIN Jobs Brisbane? Beacon Support is a leading NDIS service provider and delivers in home care and support to the aged, and those living with disabilities or illness. Our services open opportunities for a range of Assistant in Nursing or AIN jobs Brisbane and NDIS Qld jobs. The nationwide rollout of the NDIS has opened doors to many employment opportunities in the healthcare sector. We offer AIN jobs as well as other positions such as disability support worker jobs, aged care worker jobs, and personal care worker jobs among others. What is involved in AIN jobs Brisbane? Great observation skills or perceptiveness. 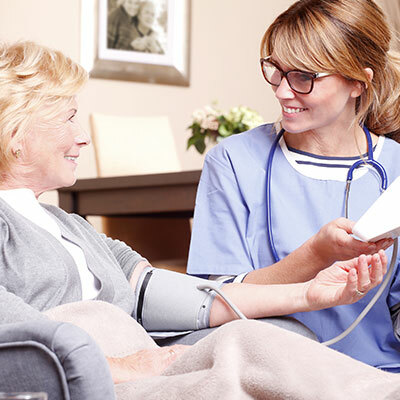 As one of the entry points into the nursing profession, an assistant in nursing can with further study and training grow into different roles such as aged care worker roles, enrolled nurse roles and registered nurse roles. You can also move into more supervisory and management roles. Beacon Support upholds integrity, genuine compassion for others, concern, dependability, and an enabling attitude to all we do. You will find our culture open, warm, and energetic. You can check in here for any employment opportunities, or contact us on 1300 435 782 or fill in the contact form, to find out more about AIN jobs Brisbane or NDIS Qld jobs with Beacon Support.